What is this gibberish anyway!? How does the OBD2 system store freeze frame data? How does the OBD2 system clear the freeze frame data? How do I read freeze frame data? Can I manually clear freeze frame data using an OBD2 scan tool? Unless you’re an expert mechanic, the OBD2 freeze frame data might look like a meaningless set of symbols, numbers, and acronyms. This will hold especially true if you know nothing about cars. But the OBD2 freeze frame data is more than just a list. The freeze frame displays the PID or parameter ID values when the diagnostic trouble code (DTC) was triggered. Think of it as the crime scene in those police TV programs. The check engine light will illuminate due to the presence of the fault code. Consider this as the victim in the crime. Freeze Frame data takes a snapshot of your engine data at the time of trouble… sorta like a crime scene! But the freeze frame data will indicate what the other sensors or components are doing when the ECU recorded the fault code. This is the crime scene. If you know what to look for, reading or interpreting the freeze frame data will give you a better idea on what happened when the DTC occurred. The resulting data is useful in identifying the cause of any fault related to the emissions system. In order to understand how an OBD2 system stores the freeze frame data, it is important to understand the two types of system monitors. Continuous monitors. This means the monitors are always running or operating continuously whenever the vehicle is running. Continuous monitors includes the fuel trim and the misfire detectors. It is often referred to as a ‘one trip’ emissions diagnostic monitor and will enable the powertrain control module (PCM or vehicle ECU) to immediately store a diagnostic trouble code together with the necessary freeze frame data. Two-trip monitors or non-continuous monitors. These types of monitors such as the oxygen sensors, heaters, EGR system, evaporative emissions, and catalytic converter will perform a test once per trip. But in the case of two-trip monitors, the PCM will temporarily store a diagnostic trouble code until the next trip. If the failure does not occur during the second trip, the temporary trouble code will be cleared from the ECU memory. But if the failure occurs again during the next trip, the ECU will store a DTC along with the relevant freeze-frame data. Also remember that the freeze frame data will not be refreshed or updated after succeeding failures on the same test cycle. The freeze frame data will only be overwritten if the system detects an engine misfire or irregularities with the fuel trim. Did the OBD2 code clear on it’s own? Okay so let’s assume the check engine light in your vehicle is ON. If the failure doesn’t occur after three successive trips, the check engine light or MIL will be turned OFF. However, the trouble code and the freeze frame data will remain stored in the ECU memory. This is what’s called automatic clearing. But what if you plug-in the OBD2 scanner and find no freeze frame data? This is unlikely to occur if the PCM triggers a check engine light, but it can happen. If your car completes approximately 40 warm-up cycles without detecting a fault, the PCM will delete the trouble code and freeze frame data automatically. However, take note the freeze frame data can also be overwritten by more important data related to continuous monitors such as engine misfires and fuel trim. Fault codes related to misfires and fuel supply will always take priority over other non-continuous fault codes. It depends on the type of OBD2 scanner. If you happen to have a professional OBD2 scan tool such as the Autel AL519 or the Bluedriver, reading the freeze frame data is a piece of cake. It’s actually self-explanatory if you have a of knowledge on how a modern engine works. Featuring the unique patented One-Click I/M Readiness Key, TFT color display and built-in speaker, the AL519 is truly the ultimate in power and affordability, allowing users to do their jobs faster. Reads live PCM data stream, live O2 sensor test data and views freeze frame data.Retrieves generic (P0, P2, P3 and U0), manufacturer specific (P1, P3 and U1) codes and pending codes. 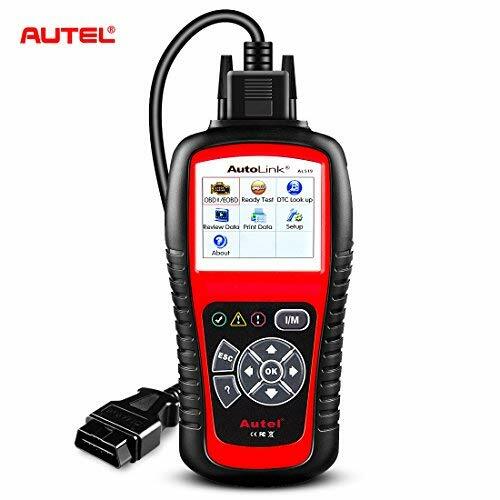 The Autel AutoLink AL519 OBDII/EOBD Scanner supports all 10 modes of OBDII test for a complete diagnosis and works on most 1996 and newer vehicles (OBDII & CAN) - domestic and import. Entries such as air flow rate, engine RPM, fuel rail pressure gauge, vehicle speed sensor, and engine coolant temperature are easy enough to understand. The data provides a snapshot on what the engine sensors are doing when the trouble code is triggered. All those acronyms, symbols, and numbers are meaningless to the average car owner. So let’s walk through each of them and explain em. Fuel SYS1 CL – the fuel injector in bank 1 is in closed-loop mode when the error occurred. Fuel SYS2 N/A – means there is no fuel injector in bank 2. This also means the engine is either a four or six-cylinder with just a single bank. 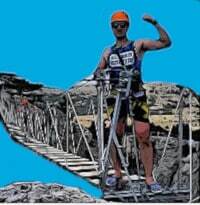 Load PCT 87 – the air volume or amount of air entering the motor that is below 100%. ECT 223 – is the Engine Coolant Temperature. In this case, the coolant temperature is 223 degrees F.
Long FT1 -3.0 – the oxygen sensor or O2 sensor has not switched yet to long-term fuel trim for the fuel injectors. Map kpa 26.3 – is the reading in the manifold absolute pressure sensor or MAP when the error occurred. In this case, the sensor has a pressure signal of 26.3 kilopascals. VSS 48 – is the speed of the vehicle when the DTC occurred. Rpm 1495 – is the engine revolutions per minute as the error occurred. IAT 57 – Intake Air Temperature is at 57 degrees F when the PCM detected the diagnostic trouble code. Now, take note the data stated above may differ according to the make and model of the vehicle, the OBD2 protocol of the vehicle, and the type of OBD2 scan tool utilized to read the freeze frame data, but this should be a good general explanation to get you rolling! However, if the problem is not fixed, the check engine light will return together with the error code and relevant freeze frame data. This is the reason why you should only erase or delete the DTC and freeze frame data only after the source of the problem is fixed and/or replaced.